Lovely Plain Wool Tights. They are warm woolly tights, comfy but allow your legs to breath at the same time because they are mainly made from wool which is of course a natural fibre. Because they come in the 4 most popular colours, Nero, Charcoal, Mocca and Sherry they are sure to go with any outfit. Don't get left out in the cold this winter. Order yours now as they are selling fast. N.B. These tights can sometimes be a little on the small side. So if in any doubt please order the larger size. Rating: 5 I have been buying these tights for years. They are superb in quality and warmth and feel very soft on the skin. UK tights have a wonderfully easy to use website and the tights arrived very quickly. Not only the first time, but the second order did too, with excellent information on stock and delivery. I cannot fault them. Rating: 5 Look good and feel even better. I cant wear acrylic/nylon/polyamide tights... they make my feet go into a kind of cold sweat.... not nice.... I love wool tights, natural fibre tights or cotton tights.... can you find them ?? generally no.... not even M&S ... unless you only want black.... I never want black !!! UK tights do a fantastic job providing a great choice of tights in different colours and Natural fibres. Thank you UK Tights !! These Levante tights are lovely and I will buy more. Rating: 5 I bought the xtall size, and they are. They fit me well, both for length and brief size, and kept me warm on one of the coldest days of the winter. Very likely to buy again. Rating: 5 Bought all four colours and they are lovely and warm. It is good to have a classy pair of tights with a mini that actually keep your legs warm and looking good. Hard-wearing and I would say good value for money. Like these more than opaque tights and the smooth waist is a bonus. Rating: 5 Lovely soft tights, well worth paying a bit extra for the quality. Rating: 5 Good product and prompt service. 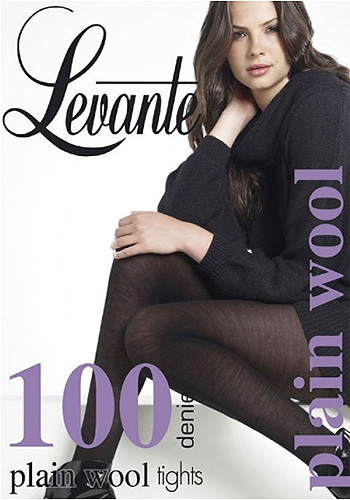 Nice light-weight wool tights warm to wear and perfect fit. Rating: 5 I love these tights because they are warm but not heavy looking. I bought the size up even though I am quite small - I chose the tall. The Charcoal colour is just what I was looking for. Rating: 2 They are rather thin, snag very easily and the shape is not good. Rating: 2 I am a size 14 - 16 and I am 5'9 tall and I found the tights a bit tight although I ordered XL size. 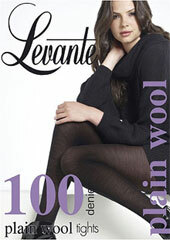 Rating: 5 Superb quality Levante tights, wear well, and look great. Rating: 5 I got them in Sherry M. Usually I find Levante's M to be large for me but not in this case. They look and wear quite strong on me. I use them under jeans, with skirts layering with other tights or socks. They work and keep me warm. And the price is very reasonable - you get A LOT of wool for your money. These are cheapest 70% wool tights out there. Rating: 1 I am very disappointed by these tights. I bought them in grey. They snagged on the second wearing, and after only four cold handwashes, they are already looking scruffy. I take good care of my tights, especially the more expensive ones like this - and these have already gone through at the toe. Poor quality. Won't be buying again. Rating: 5 I need to wear natural fibres at all times and can't cope with nylon etc. These wool tights are great. They keep me warm and look good too, without irritating my skin.